Uttar Pradesh is located in the northern region of India and boasts a population of approximately 200,000,000 people, making it India's most populated state. It area covers 99,993 square miles and its located in India's enormous Indo-Gangetic Plain. Thousands of tourist flock to this state each year to see sites like the Taj Mahal and Agra Fort, which are located here in the city of Agra. Roughly 80 percent of the state's population follows the religion of Hinduism and about 18 percent practice Islam. The rest follow Jainism, Buddhism or Sikhism; Hindi is the state's primary language. Because the state is located in the Gangetic Plain, it has a subtropical climate, but its temperature varies greatly depending on the season. The temp ranges from an average low of 58 degrees to an average high of 87 degrees Fahrenheit. It's bordered by the country of Nepal to the north, the states Uttarakhand and Himachal Pradesh to its northwest, Haryana, Delhi and Rajasthan to its west, Madhya Pradesh to its south, Chhatissgarh and Jharkhand to its southeast, and Bihar directly to its eastern side. The state is credited as the birthplace of Hinduism and has been a vital location for ancient, medieval and modern events that were important to India's history. The state has had an enormous influence on India's culture too. The Indo-Islamic religion emerged in here during India's medieval period and it was the location where much ofGandhi's independence movement took place. In addition, archeological sites have confirmed stone age humans lived here during the period of the Indus Valley Civilizations.Harappa is a famous civilization that flourished in this region. According to the ancient Hindu legend of Mahajanapada, the divine king Rama reigned here and another divine god named Krishna, who was the eighth reincarnation of the ultimate god Vishnu, was born here too. Ancient Culture developed in the region when small tribal villages were invaded by nomadic Aryans, who developed the tribes into complex hierarchical societies. These societies were ruled by Rajputs (kings). Rajput rule ended in the region when Turko-Afghans invaded India and created Indo-Islamic Empires. 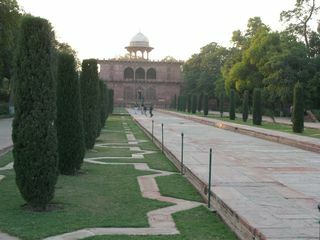 The Mughal Empire came into power in medieval times and this region was within their rule; Delhi was their central ruling location. The Mughal rulers Babur and Humanyun held the state for a long while, but in 1540, an Afghan named Shah Suri defeated King Humanyun and claimed the entire region. Following his rule the Prime Minister Hemu ruled Uttar Pradesh and some other India states. He won more than twenty battles in northern India, but died in the battle known as the Second Battle of Panipat. Britain's East India Tea Company took power in the later eighteenth century and Indians, unhappy with their rule, initiated an uprising known as the Indian Rebellion of 1857. This rebellion spread through India and it's widely believed that it began in Uttar Pradesh. The unsuccessful revolt resulted in Britain taking greater control of the country. Later, Gandhi's spiritual mass movement helped bring independence to India. Uttar Pradesh is a state with many educational opportunities and boasts numerous technological institutes and universities to support its 200,000,000 inhabitants' educational needs. Agriculture is big here too. More than half the able population works in agriculture. Major manufacturing and technology companies also play an important role in the state'seconomy. We can't ignore the fact that Uttar Pradesh houses the world famous Taj Mahal, so it sees more than its fair share of tourism! The economy here is the second largest in India. It contributed 8.34% to the national GDP in 2010, and it seems to follow India's overall pattern of continued economic growth. An interesting fact about Uttar Pradesh is it had its first female Prime Minister, Sucheta Kripalani, from October 1963 through March 1967. In November of 2000, the state of Uttarakhand was broken out of the Himalayan portion of the state. Any tourist going to India should add this state to their itinerary so they can see the Taj Mahal, Agra Fort and the other amazing sites of the state! Leave Uttar Pradesh to check out more of the India States. Discover India today. 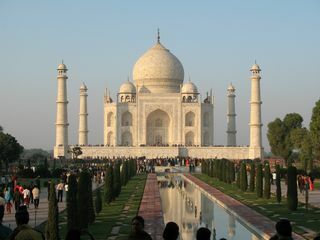 Visit India tourism destinations. Visit our homepage to explore more about India.